Faxing is one of the most common forms of communication in healthcare, and also the area that is often most rife with inefficiencies and manual processes. Medforce offers a suite of fax solutions that will help you regain control and get back on track with this hidden danger in healthcare. 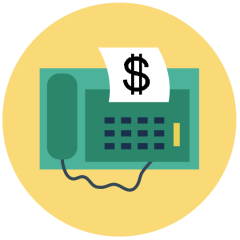 Your faxes bring in vital information - referrals, personal health information, needed documentation for payment. It is a crticial communication tool, but one that is most often neglected or seen as a necessary evil. Proper fax management goes well beyond replacing your physical fax machine with an electronic fax server. You must look at your entire fax management process from top to bottom to realize all of the opportunities for improvement. Medforce has several options to help you take control of your fax management. We offer a Fax service with the lowest rates in the industry. We have developed the industry's only Fax Management App that ensures all faxes are handled in a timely manner and nothing falls through the cracks. To read more about how faxing may be holding back your business, download our white paper called Faxing: a Healthcare Disaster. Don't stay in the dark with your faxing practices. Medforce gives you the visibility, insight and control to make sure faxed documents are worked fully and on time.